Be at Landers Center in Southaven, Mississippi for any of our 24 home games this season and see the Grizzlies of tomorrow — today! Pick the games that fit your schedule and your budget. With the all-new Flex Voucher Pack, fans can purchase a pack of 10 vouchers for use in any combination as they please, such as all 10 tickets to one game or one ticket to 10 games. Call 901.888.HOOP(4667) and press #6 for more information. MEMBER SAVINGS – Significant savings over individual game tickets all season long. 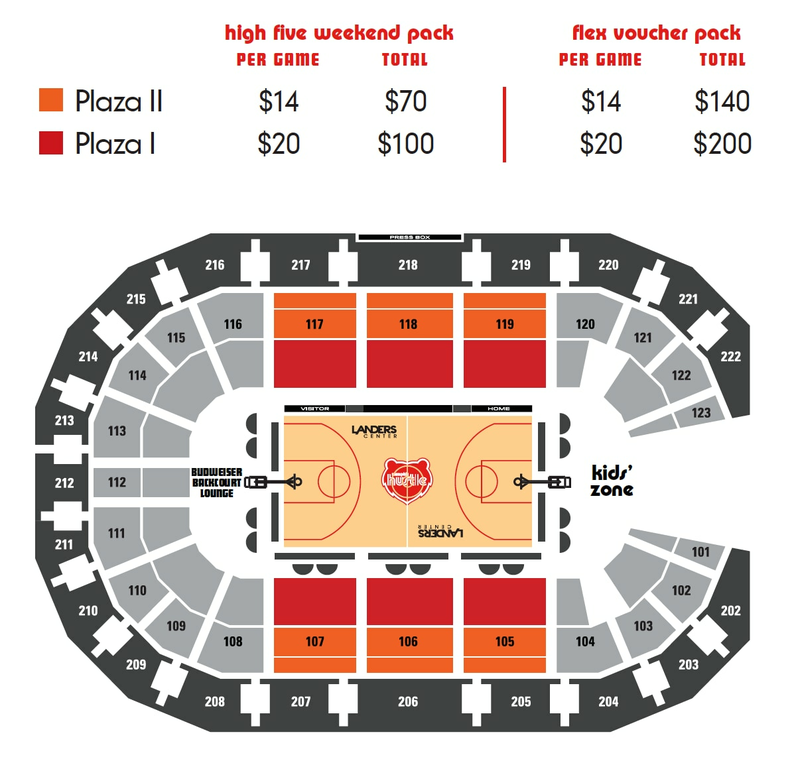 PLAYOFF TICKET PRIORITY – Reserve and purchase Hustle Playoff tickets before the public. MEMBER SERVICE – Enjoy a personal service Account Executive for all of your needs.